Most people find crystal ball gazing is easiest in a quiet, dimly lit room. Many people like to have candles burning. For some the reflections of the flames help to summon images - others find them a distraction. Burning incence is common and some people like to have soothing music playing gently in the background.The important thing to remember is that you are creating an atmosphere. The important key when doing crystal ball gazing is that you must be relaxed and your mind must be clear. It is always best to perform a cleansing ritual followed by a protection ritual, and THEN begin your crystal ball work. Normally a cleansing ritual would be performed on night one. The next night you would perform a protection ritual on yourself and within the room you intend on performing the crystal ball gazing. On the third night you can then be well prepared to use your crystal ball. Even though these rituals are not necessity, it is always wise to do them for maximum safety and best results. When performing any form of scrying or divination you are summoning forth forces from the spirit realm. Normally these forces are closed off from this plane we live in unless otherwise disturbed such as through specific rituals such as crystal ball gazing and scrying. When you perform divination these forces can either aid you in bringing forth images of the future or other events, or attack you. 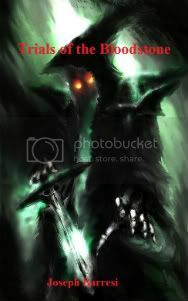 Evil spirits and negative influences can use your crystal ball, scrying mirror, ouija board, or pendulum a link for them to step through into this world. They can also use it as a means to drain energy from you as well. This is why it is always best to ensure proper cleansing and protection is prepared before hand. Place the crystal ball on a table in front of you. Many crystal balls you can buy come with their own stand. If you don't have a crystal ball stand you might like to use a small cushion or a silk handkerchief purchased and reserved specially for this purpose. Sit down and relax. Lay your hands gently on the ball for a minute or two in order to energise it and strengthen your psychic rapport. Whilst holding the crystal ball, think about the purpose of this scrying session. If appropriate try to visualise the subject of your question. Some people like to ask the question out loud, others prefer to internalise it. Now, remove your hands from the crystal. Look into the crystal, stare deeply. Allow your eyes to relax and become slightly unfocused. After a little while you should see a mist or smoke forming in the crystal. Let this mist grow and fill the ball, then visualise it gradually clearing to reveal images within the crystal. The images you see might not be what you expected. That's OK, don't fight them. Your subconscious mind knows what information you need. 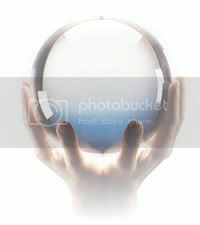 Many people find that when they first begin to use a crystal ball, the images have nothing to do with what they focus on. This is because your mind is not yet adjusted at being able to grasp and focus on the energies being past from your subconscious into the crystal ball itself. Think of the mental energies going from your mind to the crystal ball as a funnel. The base or "tip" of the funnel is your subconscious energies and that energy is being directed upwards towards your conscious mind which is the mid point of the funnel. The conscious part of the mind that receives the subconscious energy then "spills" it into the crystal ball to form those images from the subconscious, which would be the mouth of the funnel. Since divination uses both the subsconscious and conscious part of the mind at the same time it can be rather difficult to concentrate on both at once. Your subconscious is where the energy is stemming from. It passes it upwards to your conscious which is needed to act on that energy into the crystal ball. Without the conscious mind you would be in more of a deep meditated state and your eyes would not be able to consciously focus or input the images within the crystal ball. As noted, it is perfectly ok that the first couple times you divine with a crystal ball the images are not related to what it is you want. The fact you are able to see ANYTHING in the crystal ball is showing progress. The more you work with the crystal ball, the better you will get at being able to see exactly what it is you want to see by manipulating your subconscious energies to your conscious energies, and then to the crystal ball. Either way, just let the images flow, changing and taking you wherever they choose to go. Don't try to rationalise now, time for that later. Let the images slowly fade back into the crystal ball. Don't just stop the session suddenly, instead reverse the process you used at the beginning. Visualise the mists coming back and covering the images, then receding to return the ball to its natural state. Thank your crystal ball and put it away carefully wrapped within a dark cloth is best as dark cloth keeps the energies of the ball contained within it and prevents it from leaking out. It is also always best to ensure you cleanse your crystal ball. A good, fast, and simple way of doing this is to simply light a sage smudge stick and or sage incense and move the ball around the smoke before you place it back for storage. 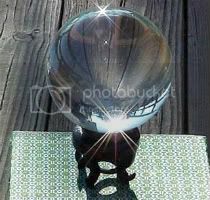 Another quick and easy way to cleanse your crystal ball would be to give it a dip in salt water for roughly one minute. You do not want to soak it too long in salt as it can damage and ruin the crystal ball.